Kiki Smith's critically acclaimed tapestries depict "a mythical world wherein human and animal forms entwine with natural phenomena" (Artforum); they have been exhibited internationally at venues including Pace Editions (New York), Timothy Taylor (London), Haus der Kunst (Munich) and Lorcan O'Neill (Rome). This 2018 survey of Smith's tapestry editions to date features an interview with the artist and an essay by Nick Stone. 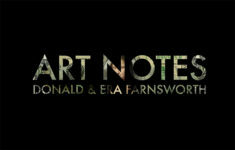 In the colorful mixed-media works of “I Forget I’m Human,” Donald and Era Farnsworth investigate and comment upon the relationship between humanity and the environment, drawing from a universal alphabet of mythic symbols, motifs, and color, all invested by their human originators with a distinct meaning or spiritual significance. Chuck Close's tapestry and print editions, translated from daguerreotypes and polaroids, realize the artist's signature conflation of intimate portraiture and rigorous attention to materials and surface. This catalog contains images of all of Close's projects, including likenesses of Kate Moss, Elton John, and Cindy Sherman, as well as the artist's iconic self portraits and large-scale ceramic tile murals installed in the NYC Second Ave Subway. Published on the occasion of the exhibitionRupert Garcia: The Magnolia Editions Projects 1991- 2011 at the de Young Museum, this book includes color reproductions of editions, posters, experimental proofs, and unique works by Rupert Garcia in a variety of media, accompanied by a new essay by poet, critic, and curator John Yau. Deer Boy, an artist’s book combining images by Hung Liu with a poem by Beat legend Michael McClure composed especially for this project, was inspired by Liu’s encounters with two fallen deer. Each book also contains a multicolored prayer flag of Chinese silk, printed with imagery by Liu. 19 x 17 x 1.75 in. 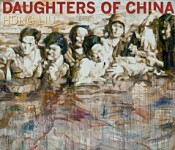 Hung Liu’s 2007 exhibition Daughters of China, 1938 at Rena Bransten Gallery featured a suite of paintings based on a 1938 Chinese film celebrating a band of female resistance fighters. Liu photographed the film, creating her own stills from which she drew inspiration for a series of epic canvases. To coincide with the exhibition, Liu, Jeff Kelley and Magnolia Editions have collaborated on an editioned portfolio of 15 archival inkjet prints. Each portfolio in the edition is housed in a custom-made book box with slipcase; the set also includes a new book on the Daughters of China series. The art of Donald and Era Farnsworth draws from the languages of science, myth, the art historical and the spiritual to address environmental and other contemporary issues. This catalog includes an essay by Nick Stone and images from all of the Farnsworths' woven editions, including a series of animistic tree portraits and the ongoing Mythos series, in which centuries-old works are given a respectfully irreverent digital reinterpretation. Deborah Oropallo's Six Shooter suite of eleven pigmented inkjet prints is a companion to her Wild Wild West Show series, delivering the artist’s consideration of western imagery - in this case, compositions inspired by cowboy-themed toy pistols - in a more intimate format. A text by Nick Stone and a poem, Cowboy, are included. Each suite of prints is housed in a handmade clamshell box with a white leather star embedded on the surface. 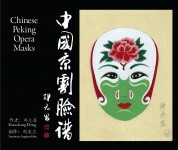 Chinese Peking Opera Masks puts a lifetime of study by one of China's foremost Peking Opera scholars, Yuanchang Deng, at the reader's fingertips in a comprehensive, bilingual format. The book contains large, full-color reproductions of nearly 300 unique masks from the world of Peking Opera, beautifully painted by Yuanchang Deng, with notes and commentary by Mr. Deng and essays by Hung Liu and Colleen Leung.Chinese Peking Opera Masks is an essential addition to the library of any enthusiast or scholar of Chinese history and culture. In 2006, Magnolia Editions teamed with genre-busting maverick William T. Wiley to create an unprecedented edition of fine art buttons. Each edition is housed inside a custom, one of a kind box resembling a book and created by John DeMerritt, president of Hand Bookbinders of California. A text composed by Wiley accompanies the edition, and can be read either as captions accompanying the imagery or as a single, continuous poem. Touching on classic Wiley themes of beauty, creativity, human ambition, transcendence, mortality and identity, Kali-fornia Dreamin strikes a balance between the epic nature of its content and the personal, unassuming scale of the button medium, providing a fascinating survey of the universe as seen through Wiley’s eyes. Hung Liu’s 2007 exhibition Daughters of China, 1938 at Rena Bransten Gallery featured a suite of epic canvases based on a 1938 Chinese film celebrating a band of female resistance fighters. This book includes color images of every painting from that series, essays about Liu's work by Liu Xiaodong and William L. Fox, and selections from Liu’s digital stills from the film. A monograph featuring mixed media, sculpture, and print works by Mildred Howard, including work shown in 2007 and 2008 at Paule Anglim Gallery in San Francisco and the Nielsen Gallery in Boston. This publication includes a new interview with the artist and more than 30 color images of work never before collected in print. From Michael Wild, owner of Oakland's acclaimed BayWolf restaurant, comes this photographic travelogue of the mouth-watering meals Wild and his family ate while in London, Paris, Beaune, and Dijon earlier this year. 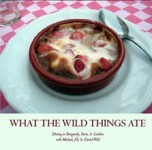 With photos and commentary by Wildàs son David, this book is guaranteed to make you hungry, and is slim enough to fit in your carry-on bag. Detailed contact information for each restaurant is provided, making What the Wild Things Ate a handy companion for travelers with a fondness for gourmet food. Squeak Carnwath's Reasons & Secrets is two artist's books in one slipcase: one on the theme of Reasons, and one on Secrets. Each volume contains a text by the artist and a series of collographic and lithographic prints, executed a la poupée. A compact, practical guide to the use of Japanese techniques by Westerners, featuring woodcut illustrations from a classic 18th century Japanese papermaking guide. Traditional momigami is paper that is coated with paste and crushed to make a tough, durable material often used for book covers. Projects include a wallet and a portfolio. John Fante's gritty, tersely lyrical novel Ask the Dust has been praised by critics and writers for more than 60 years; Charles Bukowski once wrote that "Fante was my god." This previously unpublished manuscript, found by Joyce Fante five decades after its composition, was written by Fante as a condensed preview of the novel for his publisher. It is accompanied in this limited edition by a series of etchings excised in hardground, aquatint, and drypoint by John Register.